What are the differences between Oxygen Concentrators and Oxygen Tanks? The big difference between Oxygen Concentrators and Oxygen Tanks is that an oxygen concentrator never runs out of oxygen. They can run 24 hours a day, 7 days a week. On the other hand, a typical oxygen tank will run out after 3-5 hours. Tanks constantly need to be replaced and refilled. 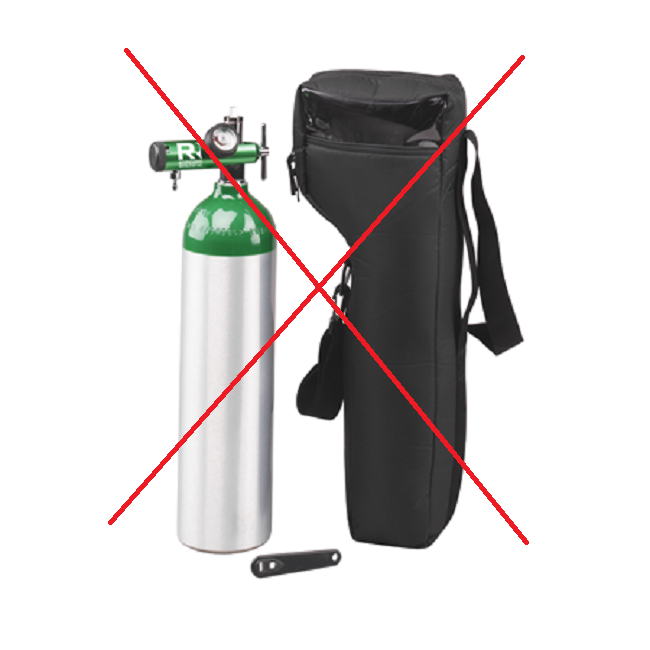 Oxygen tanks are limited in their capacity since you have only the air in the tank. They can be large, heavy and cumbersome. If you have a need for oxygen for more than just a few hours, a tank is not your solution. They are essentially a short-term item to allow a person to have a portable device to get from here to there. An Oxygen Concentrator works by drawing in the air around you and concentrating the oxygen instantly. It then delivers it to you through the cannulas. Oxygen concentrators create the oxygen on demand, as you need it. It doesn’t “store” the oxygen or run out, like a tank. Oxygen concentrators are perfect for those on vacation and need oxygen at different times, over a period of days, or wish to sleep while on oxygen. There are no hassles of running out or having to refill a tank. At Rent Oxygen we are looking to help those people on vacation who are suffering from Altitude Symptoms. Muscle fatigue, headaches, and sleeplessness can create a miserable vacation, so if you are feeling those effects, use an Oxygen Concentrator from us to make your vacation the best ever. If you are interested in renting an oxygen concentrator call us at 970-368-9696 or Email Us.